The Samsung Calendar application on the Samsung Galaxy S8 and the Samsung Galaxy Note 8 is receiving an update which brings stickers. This is useful for a number of different use cases, including simply being able to glance at your calendar and know what’s going on. Want to mark a birthday? Simply set a birthday balloon emoji. An anniversary? Set a heart on the date of your anniversary and you’ll see it whenever you open your calendar. On older Samsung devices, the S Planner application allowed you to set a sticker for a particular day, exactly in the same manner that the Samsung Calendar application lets you. The Samsung Calendar application now allows you to set an emoji for any given day. You can see how simple it is above. You only need to take a glance at your calendar to be reminded of what’s happening on that day, without having to check specifically what’s on. It’s a small improvement, but it’s certainly something that gives the Samsung Calendar a bit of an advantage when compared with competitors on the market. There’s not a huge amount of other stuff that you’d really want from a calendar application, so any small, quality of life improvements are appreciated anywhere they can be added. Users can expect to see the new application update arriving on the Samsung Galaxy S8 and Samsung Galaxy Note 8 soon through the Galaxy Apps store. It doesn’t appear to be a staged rollout, so if you don’t have it yet then be sure to check if you have automatic updates on or not. A lot of people will be stuck when it comes to choosing between the Google Calendar and the Samsung Calendar, and this may be a feature which pushes this application over the edge. 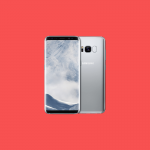 The Samsung Galaxy S9 and Galaxy S9+ have had this feature a while now, so it’s great that the Samsung Galaxy S8 and the Galaxy Note 8 are getting it too. Thanks Rares for the tip!